Hermans took this image using his Sony A7III with a 55mm lens at f/2, 4 seconds, and ISO 1600. 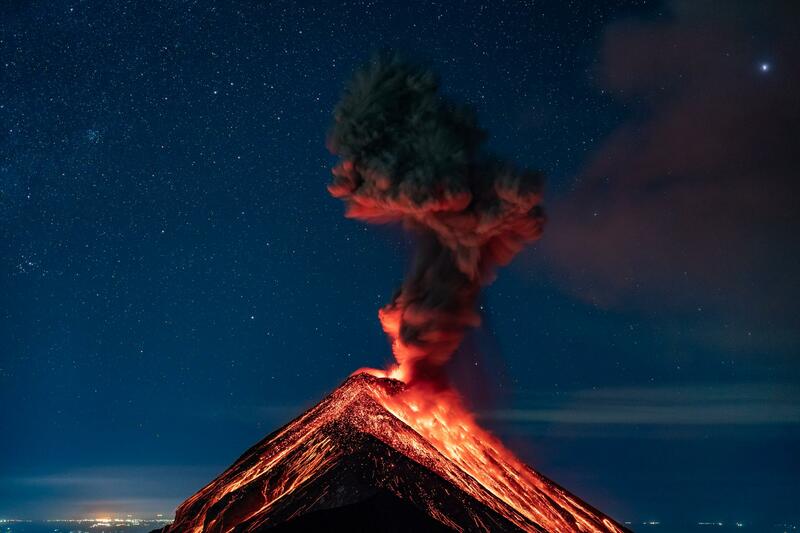 “I stayed up all night to catch a few stunning eruptions, and when I say stunning I mean literally stunning. Such an eruption goes through your soul. A deep and low rumbling that just hits you in a way only mother nature can. Inarguably one of the most insane things I’ve ever witnessed. It was just toward the end of November 2018 when this erupting volcano forced thousands of families to evacuate. And considering that Hermans captured the photo less than a month after the eruption, it must have been an exhilarating experience. As thrilling as the experience was for him, the image in itself is quite a marvelous one. The bright red lava from the volcano at the center, the clear starry sky at the top, and the city lights at the bottom altogether make for an interesting combination.